This is a six-level of readers for children learning English,bringing ogether a variety of enjoyable fiction and non-fiction titles. The series provides reinforcement of the basic structures and vocabulary and can be used alongside any primary course. Fotografiile cartilor prezentate in acest catalog online au caracter informativ si pot exista diferente intre aceastea si cartile respective. 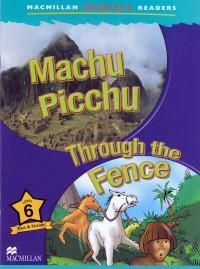 Informatiile despre cartea "Macmillan children s readers Machu Picchu Through the fence level 6 fact and fiction - Murray Pile , Maria Toth" sunt informative, pot fi schimbate fara instiintare prealabila si nu constituie obligativitate contractuala.